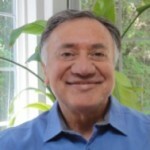 Robert Gonzales’ Biography – Communicate 2 Connect Inc.
Based in the USA, Robert Gonzales offers courses and workshops around the world. He offers work of great depth and transformative power, supporting a lived, integrated and embodied practice of Nonviolent Communication, compassion and wholeness. Robert’s work, Living Compassion, has evolved as an integration of embodied spirituality and Nonviolent Communication. It has emerged from a lifetime of inquiry into the intersection between spirituality and human communication. His influences include Dr. Marshall Rosenberg (founder of Nonviolent Communication), Stephen Schwartz (creator of Compassionate Self-Care), and other spiritual teachers. Robert’s trainings offer ways to cultivate daily practices for living life fully and authentically, deeply grounded in compassion for one’s self and others. Robert received a Ph.D. in Clinical Psychology in 1989, and was a practicing therapist for many years, offering individual and couples counselling. He met Marshall Rosenberg in 1985 and began teaching NVC in 1986. Robert has contributed to the work of the Center for Nonviolent Communication as a Certified Trainer, serving as a Certification Assessor, and as Board President. He continues to serve as a lead trainer for International Intensive Trainings (IITs). He was one of the co-founders of the NVC Training Institute and in 2010, he founded the Center for Living Compassion, a nonprofit organization through which he shares his work. “Life changing! Now I truly feel life ebb and flow thru me. I can embrace it fully whether joy or sadness and accept all that life brings.” Susan H.
“Robert Gonzales and the LIFE program invited me to explore and step into a different awareness of how the beautiful ‘LIFE force’ energy lives in me and how learning to “be with that”, i.e. embracing all I feel in each moment…. impacts the connection I have with myself and everyone else around me! The LIFE program for me was: restorative, challenging, encouraging, educational and connecting (as I now have 28 new friends who also value this authentic kind of connection). I am feeling “severe gratitude” for the LIFE program, and how much better aware I am now of how the LIFE FORCE ENERGY continues to flow forth and do its perfect work in each one of us.” Ann H.